Technology is going to the dogs – literally. And the latest to join this furry fray is Woof, an ambitious new app that gives dog owners a bevy of features that aim to make their canine companions happy. Now available on Apple iOS at the reasonable price of free, Woof packs in a ton of different features. 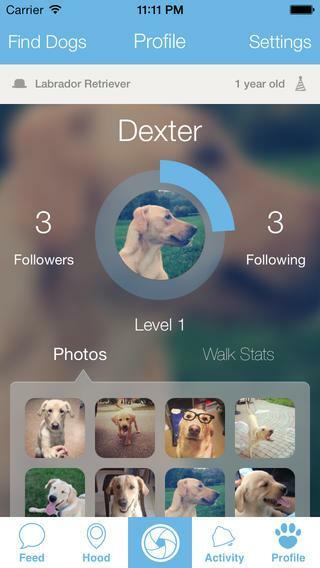 You can create a profile for your pet with name, photo, age, and breed. Or you can take photos of your best friend and upload them for the whole community to see – a feature snagged straight from the mouth of Instagram. Woof also allows you to mark your dog’s territory – as in, when you dog lifts his leg to let fellow furballs know he’s been there, you can place a pin on the app’s integrated map. If any Woof users happen upon your dog’s mark, Woof will let you know that someone is “sniffing” you … or something. We’re not exactly sold on the whole territory marking thing, but there are some more practical features built into Woof as well. For example, you can easily look to see if any other Woof users are nearby, making puppy playtime meetups a breeze. And the app shows you the locations of parks in your area, and lists whatever “amenities” they might have, from fountains to fences to off-leash regulations. After spending a few days using Woof, we found the app to be quite handy when looking for a good place to take a walk. It’s still in its early stage, however, and the app has suffered a number of bugs. But hey – every dog takes some time to master all its tricks, right? Side note: There is an Android app called Woof, as well – but they aren’t the same thing. The Android Woof is an Italian social networking app for dog owners in Italy, just in case you google woof and get confused.